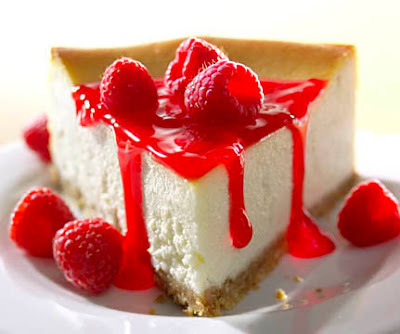 I tried making a cheesecake again, but this time with a raspberry sauce. My boyfriend requested it because he ate all of the first one too quick and was craving for more. The results turned out wonderful, just like the first time. I used the same recipe, which can be found here: RECIPE! Gwen, your cheesecakes are really beautiful. They do look just like the cheesecakes I encountered here and there on a trip to NYC recently. It doesn't appear that you could have done a nicer job. Really impressive, and your crust looks very professional!